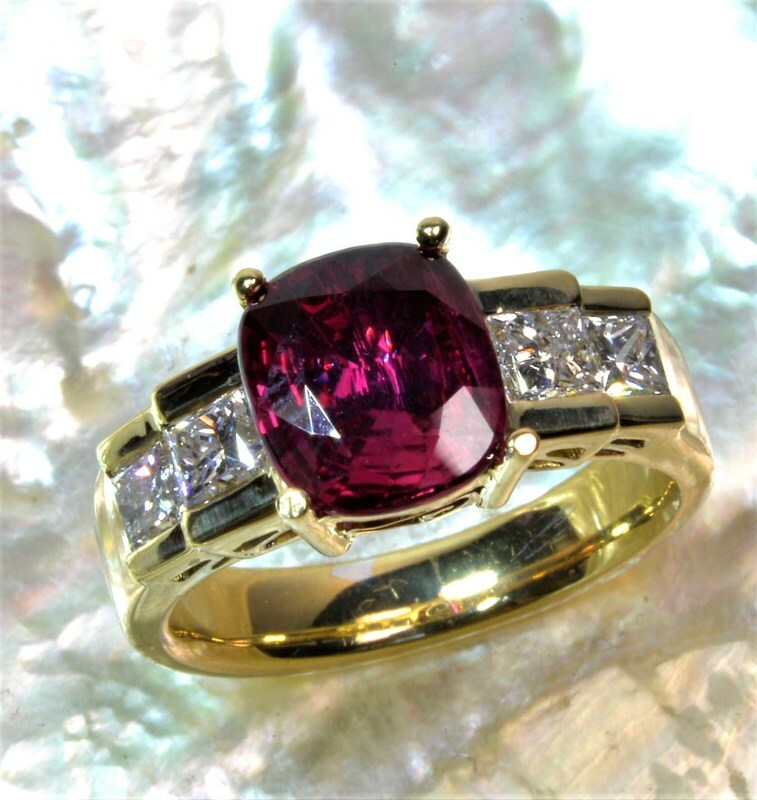 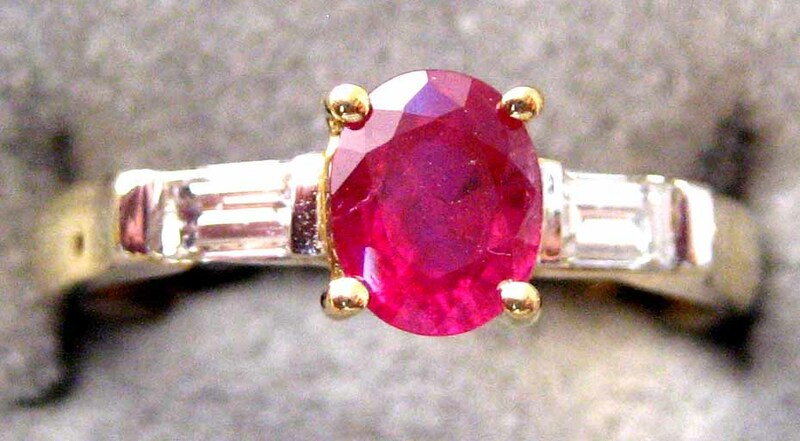 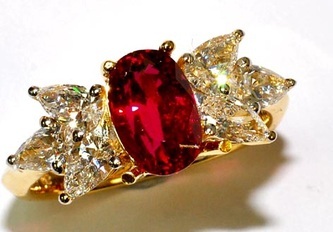 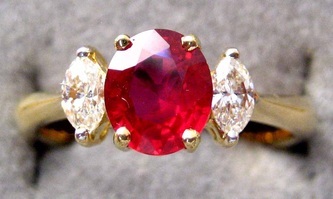 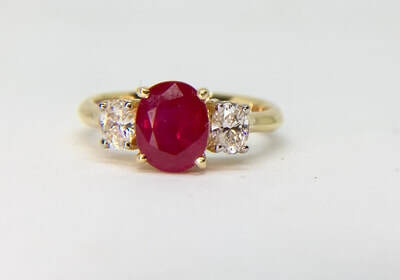 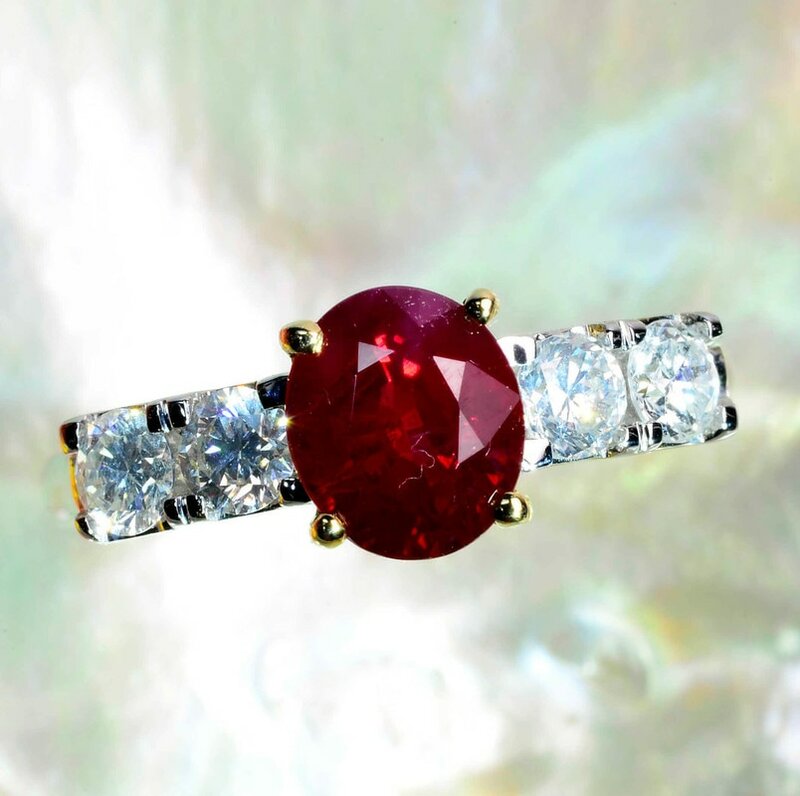 Rubies are one of the most famous gemstones, with a history spanning thousands of years. 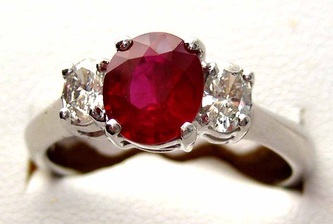 It is in the corundum family, and is very closely related to sapphires. 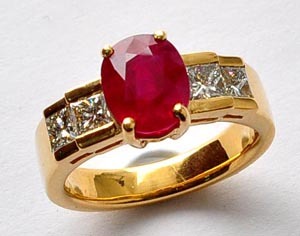 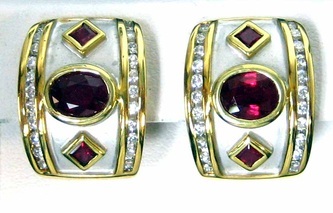 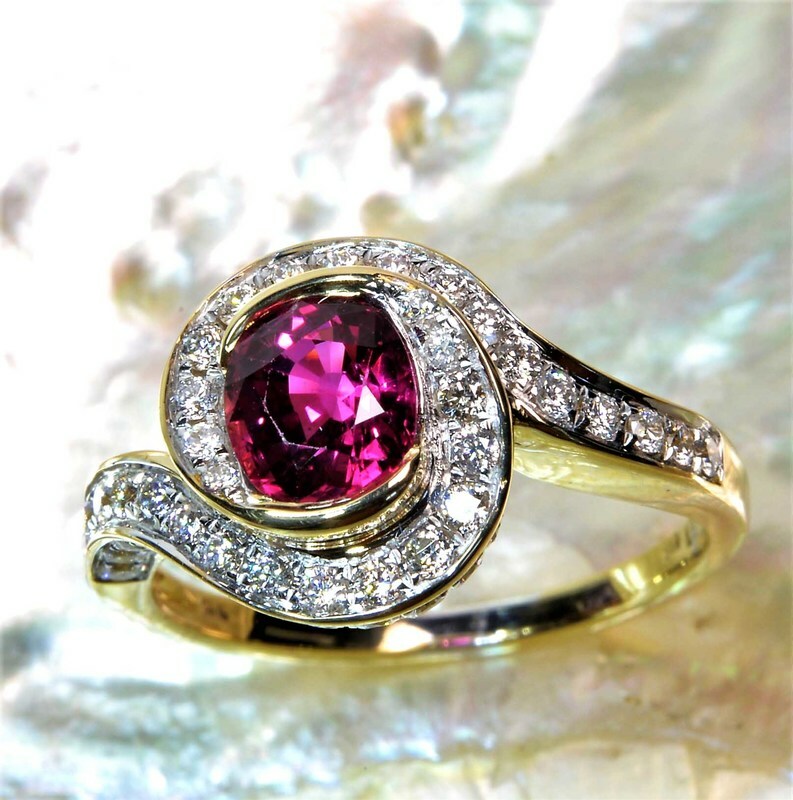 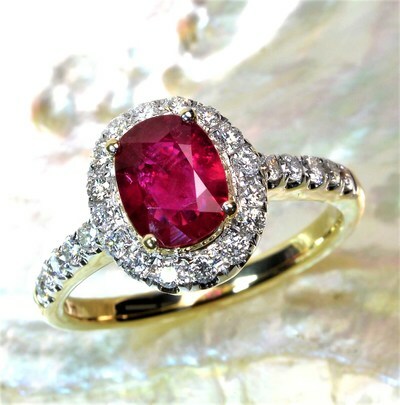 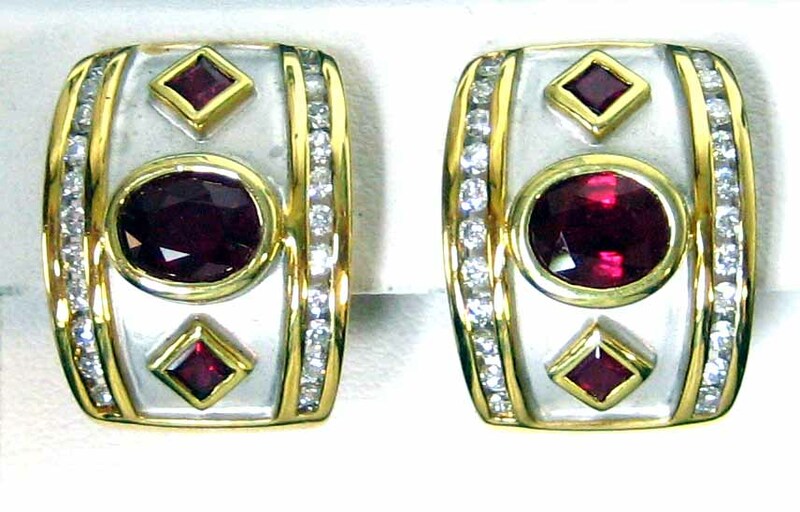 Rubies are considered a type 2 gemstone, and the very finest stones are considered eye clean, rather than loupe clean. 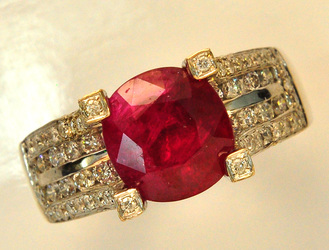 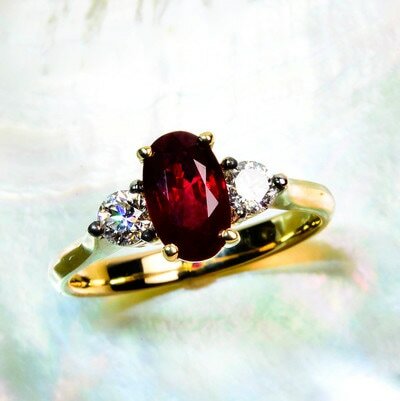 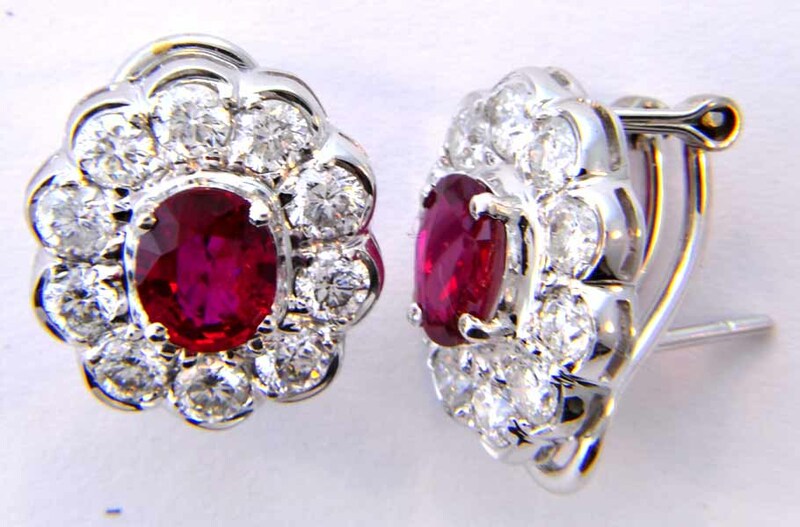 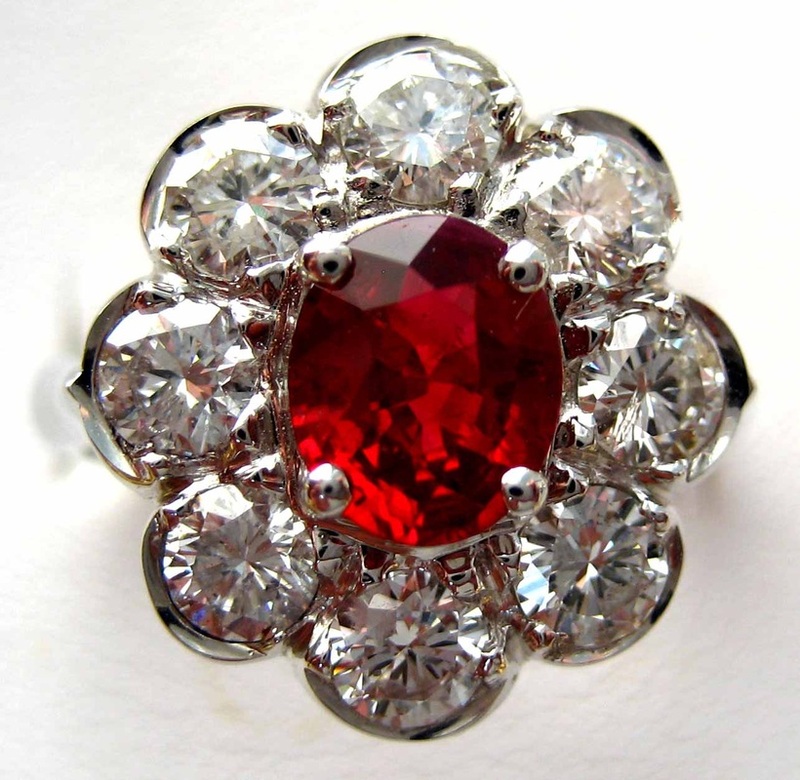 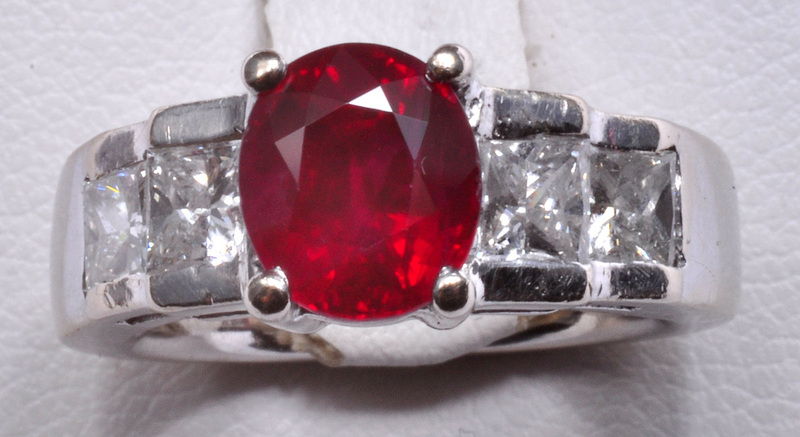 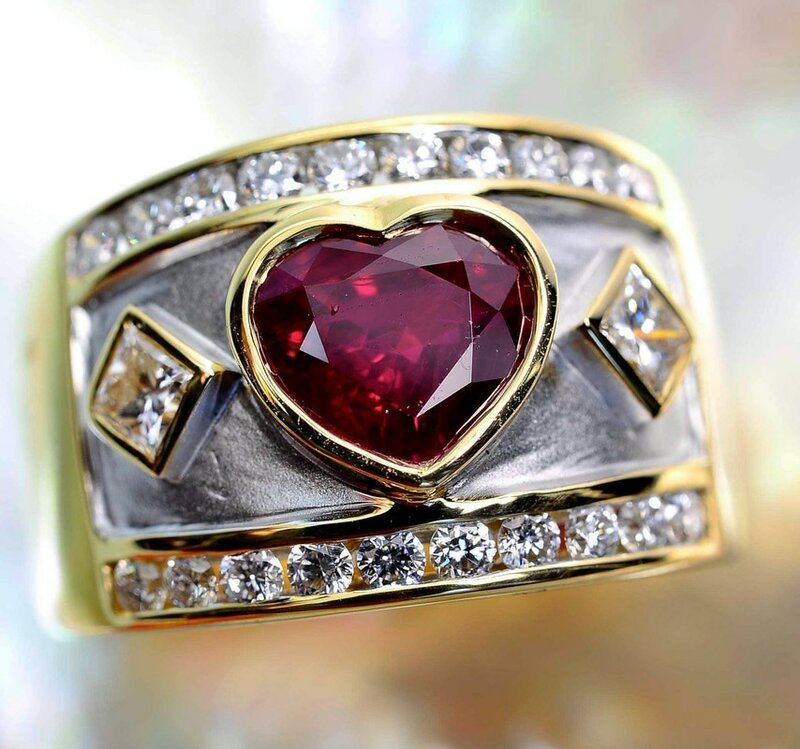 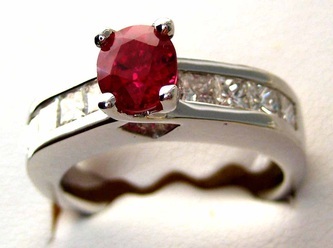 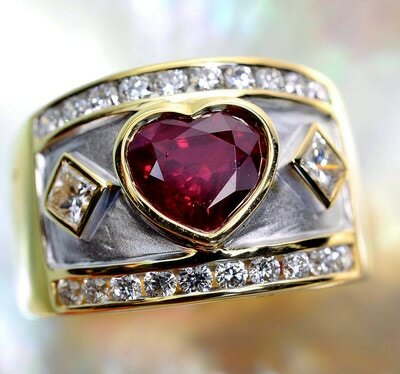 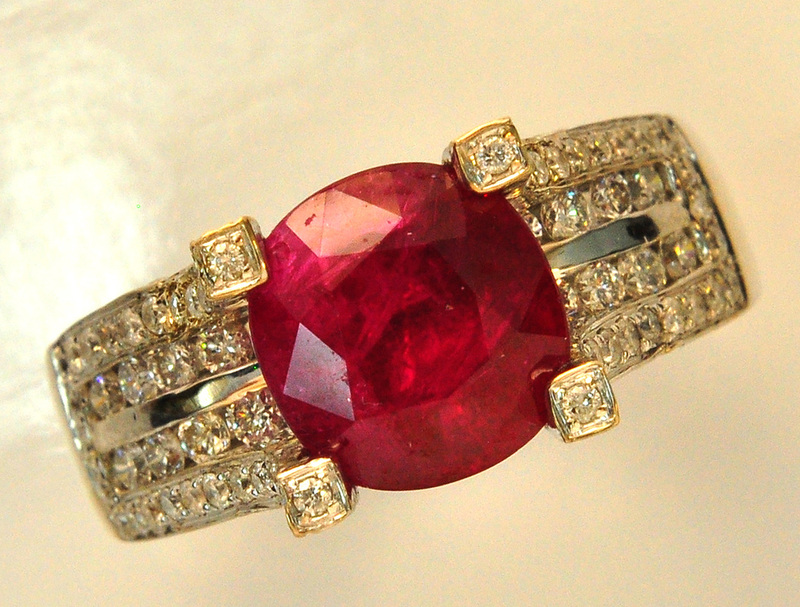 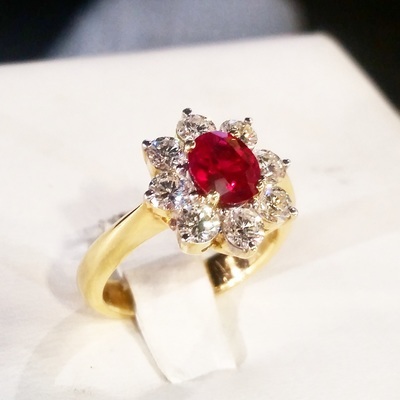 The finest rubies are considered to be "pigeon's blood" red, a rich full red color with a very slight hint of blue. While the element chromium is what gives ruby it's red color, it is also responsible for creating cracks and fissures in the gem. This is why fine quality Rubies with little to no inclusions over 3 cts. are extremely rare and prized, with a hefty price tag.